Compensation committees face a fundamental problem: Executive pay has been based on short-term performance, but institutional investors require long-term results. The disconnect is that short-term company performance is being rewarded with pay for long term. Many boards and institutional investors are asking, “How much?” rather than the more important question, “For what results?” There are big gaps between executive accountability and the measures of longer-term performance, such as “intrinsic enterprise value” in the marketplace. We should all be in favor of equitable compensation, but concerned about excessive compensation. The big problem in companies today is that often CEOs and senior executives are held accountable for short-term (one- to two-year) operational work, yet they are paid as if they are accountable for longer-term (three- to five-year) strategic work and value creation. Boards often don’t identify the right goals and metrics for the longer time frames necessary to effectively measure CEO performance. We need to motivate and reward leaders to create longer-term enterprise and shareholder value. Executive compensation needs to include pay for performance. Specifically, what performance should be measured is the key question. Data reported in a New York Stock Exchange report shows that the majority of executives were held to too low a level of accountability. In that report, a financial analysis of the top 800 public companies (approximately 85 percent of the U.S. market), showed that, over the five years ending in 2003, 60 percent failed to provide a net operating profit after tax greater than their cost of capital. This low return on invested capital makes one ask, “How viable are the business models of these companies?” What exactly are boards holding those CEOs accountable for? This is a key test to measure board effectiveness. CEOs and their executive teams were not held accountable—or paid—for business performance (as opposed to stock market performance) beyond two years. The difficulty is that sharehold- ers, especially institutional investors/ pension funds, are accountable for long-term liabilities and only a few companies have begun to make the longer-term compensation changes needed. CEO compensation has increased from 40 times that of the average worker in 1982 to more than 500 times in 2000. Many options are still granted without setting any type of multi-year performance targets. We can more closely align stock options with shareholder benefits by predicating their vesting on meeting multi-year performance targets. In setting accountabilities, boards need to look at the top two or three levels of management to be sure CEO goals and objectives are consistent with the rest of the senior team’s compensation goals and metrics. It’s important to set goals across multiple levels for the long-term measure, not just a short- term, one-to-two-year time frame. Show that decisions were made in good faith (see Disney). Directors need to be able to show that they exercised good faith in order to rely on the business judgment rule, including documenting their efforts to be objectively informed using outside studies and advisors. Create a measurable set of mile- stones that pay out only if achieved. Detail strategic deliverables and three- to five-year metrics for the CEO and executives to create long-term sustainable value for all stakeholders. 11 percent of the S&P 500 have disclosed a time period beyond three years for measuring business performance, as opposed to stock market performance. Three-to-five-year return on invested capital may be a better measure to analyze whether management is creating real value. Compensation committees will need to be more rigorous going forward. Only through informed decisions about accountability, and what they are paying for, can boards and CEOs carry out their fiduciary duties and defend their decisions on what they pay. Doing this will strengthen the link between pay and performance, and ultimately create value for the company and its shareholders. Betsy Atkins is CEO of Baja Corporation and a director of UTStarcom, Polycom, and Paychex Corp.
Ed. 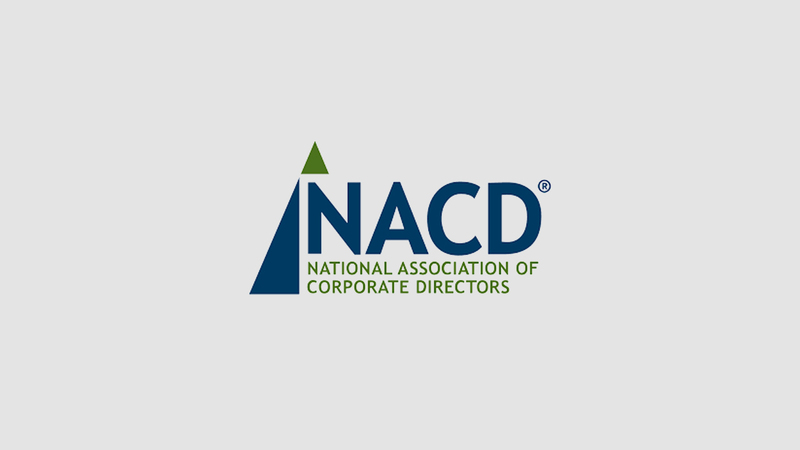 Note: Viewpoints express the opinions of individual NACD members and do not necessarily reflect the views of NACD, its directors, officers, or other members.